We manufacture, supply & export a highly effective range of Bar Bending & Cutting Machines. 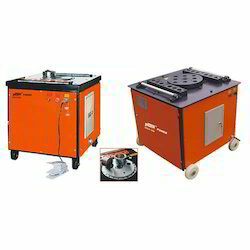 These machines have predefined bend angle settings for faster bending of rods. 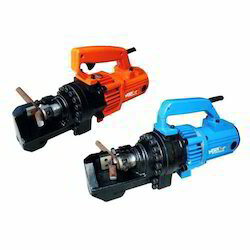 We offer them at highly affordable prices. Our firm offers a high-quality range of Tube Roller Bender. It is manufactured using top quality materials and latest technology and tested under various quality parameters. We offer Reinforcing Bar Bending Machines. They are portable machines which are used for reinforcement bar bending at sight during big construction. These are made from high quality raw material. These are provided in different specification to meet the diverse requirement of client. 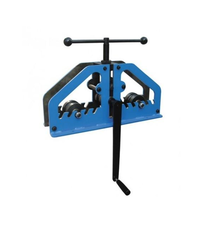 We offer a wide range of Reinforcing Bar Bending Machines. They are portable machines which are used for reinforcement bar breaking at sight during big construction. These are known for their best feature. These are made from high quality raw material. We are a credible name to offer Hydraulic Bar Cutters is an ideal solution for installing guardrails during concrete decking operations.Hydraulic bar cutters are battery powered and mains powered tools are available.Hydraulic bar cutters are extremely reliable, powerful and easy to use.